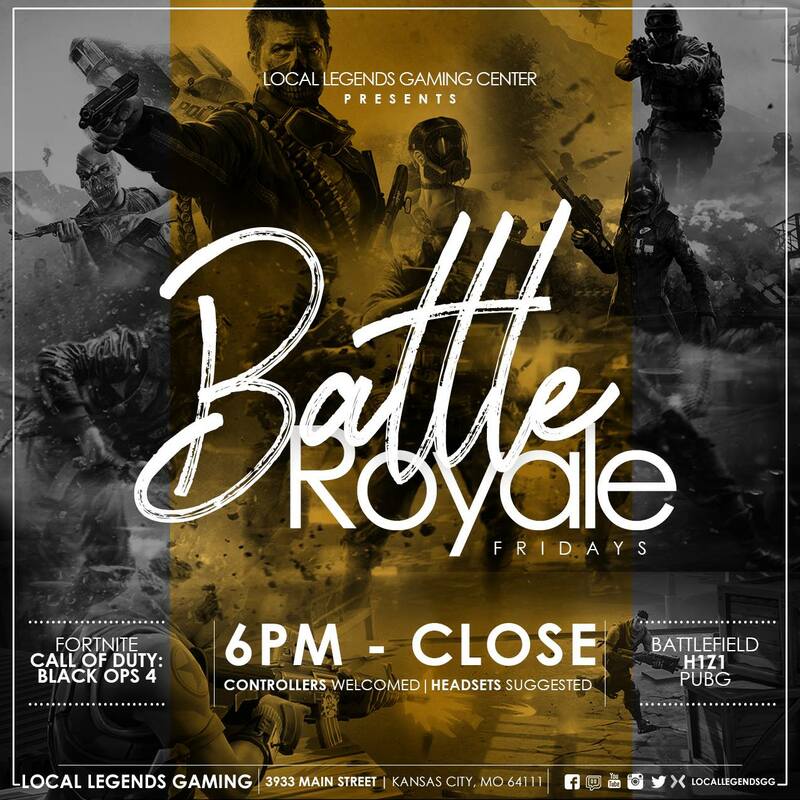 The Battle Royale is where Kansas City Plays. Venue Provides all of the accounts. Controllers Welcomed & Headset HIGHLY Suggested.